Ansell's ActivArmr® Light Duty Utility Glove is a mission critical standard issue, multifunctional utility glove for performing light duty work. Made of comfortable full grain cowhide leather that is treated to provide resistance to water. 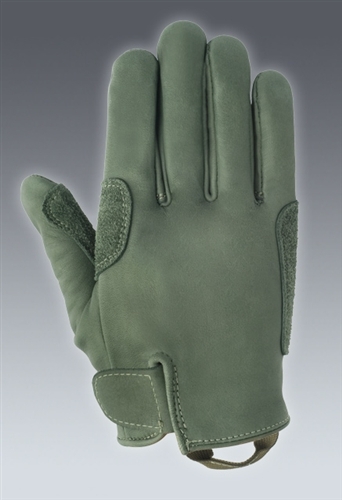 A "bag item" for the U.S. Army, the FLEXOR® glove may be worn alone or as a shell in combination with thermal inserts or chemical protection handwear. Army Foliage Green 504 shade. 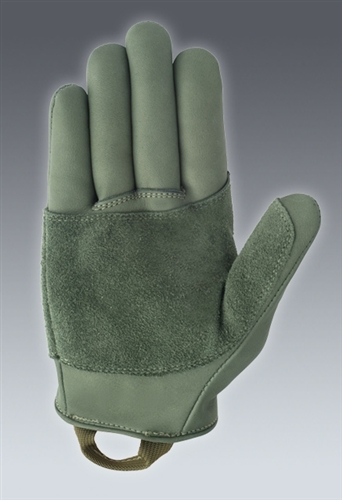 This Light Duty Utility Glove is a standard issue, multifunctional utility glove for performing light duty work. A "bag item" for the US Army, this glove may be worn alone or as a shell and in combination with thermal inserts or chemical protective handwear. The Gunn Cut style with wing thumb offers dexterity while cowhide leather and palm patch provide improved durability. 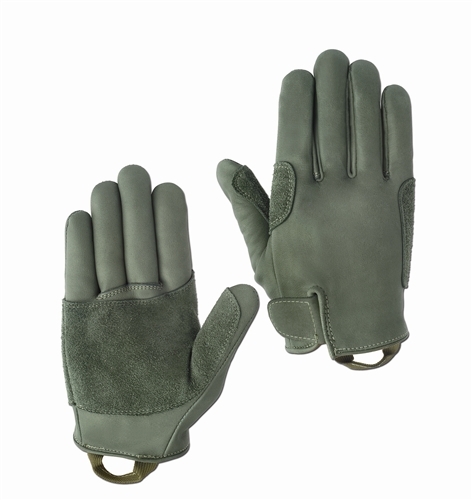 The unlined leather has been treated to provide water resistance and adjustable hook and look allow for rapid don/doff. ActivArmr Mission Critical Gear from Ansell is designed and engineered for the real-world extremes of military service. No matter how demanding the conditions, best-in-class ActivArmr products get the toughest tasks done with confidence.